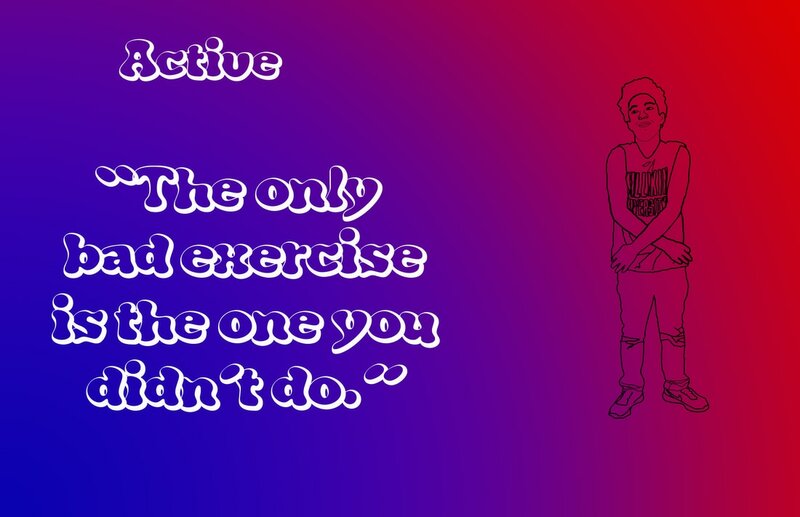 I choose this quote because I thought that it would be fun trying to get people to exercise more including me. I choose this pose because I thought it was cool. I also learned new things in photoshop and though I went through multiple problems I overcame them with the new steps I learned to do. I think that we had some difficult​ times picking some of the beats, some did not go together, some times we did not have enough space. But we worked it out. i also learned that a lot of beats go together and some don't.